Not much else to say about it, really. This salsa is similar to ones we’ve posted from Senor Bayless, but this may be the best of them. Roasting the tomatillos and garlic brings out their flavors marvelously, matching well with the spicy peppers, crunchy onions, and aromatic cilantro. 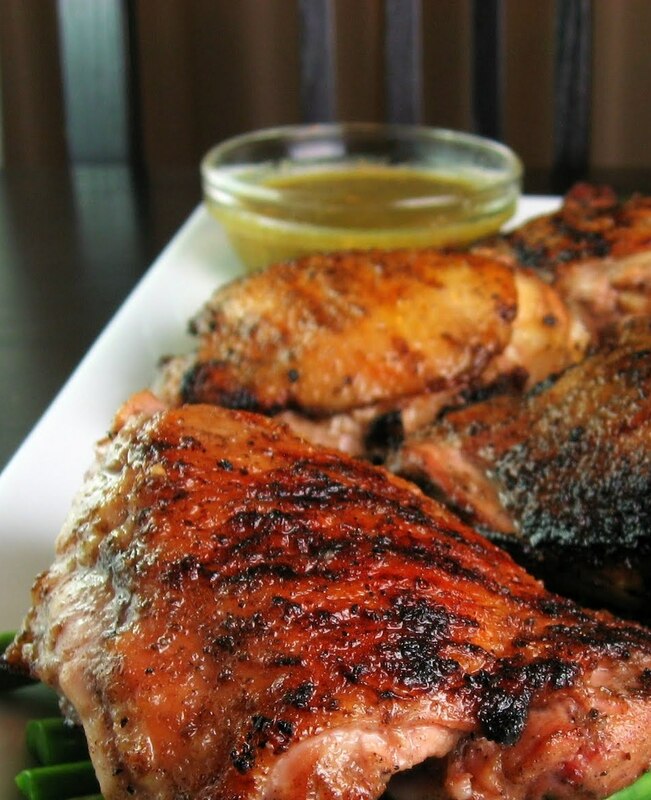 It’s great for chip dipping, but will compliment roasted chicken, steak, or pork as well. Enjoy! Set a large non-stick skillet over medium-high heat. Lay in the garlic and tomatillos, cut side down. When the tomatillos are well browned, 3 or 4 minutes, turn everything over and brown the other side. 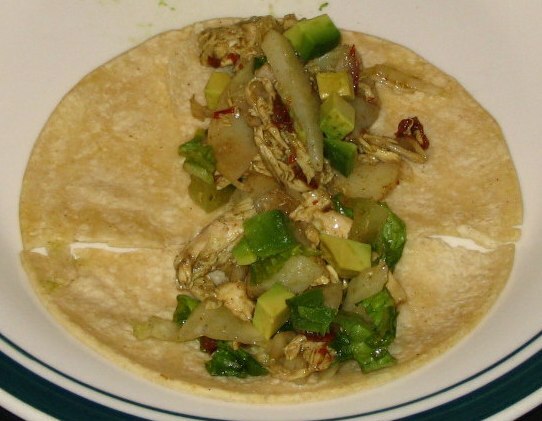 (The tomatillos should be completely soft.) Scrape the tomatillos and garlic into a blender or food processor, and let cool to room temperature. Add the jalapeno, cilantro, and ¼ cup water. Blend to a coarse puree. Pour into a salsa dish; stir the chopped onion into the salsa. Taste and season with salt, usually about ½ teaspoon. Eat! Depressed but not defeated after the other night’s failure to procure Mexican food, we once again had to rely on our own kitchen to produce a fantastic meal. We were quite surprised to learn of a Rick Bayless recipe we had not yet attempted, and after tasting it, we wish we had made it a lot sooner. The flavors of this dish are simply sublime. 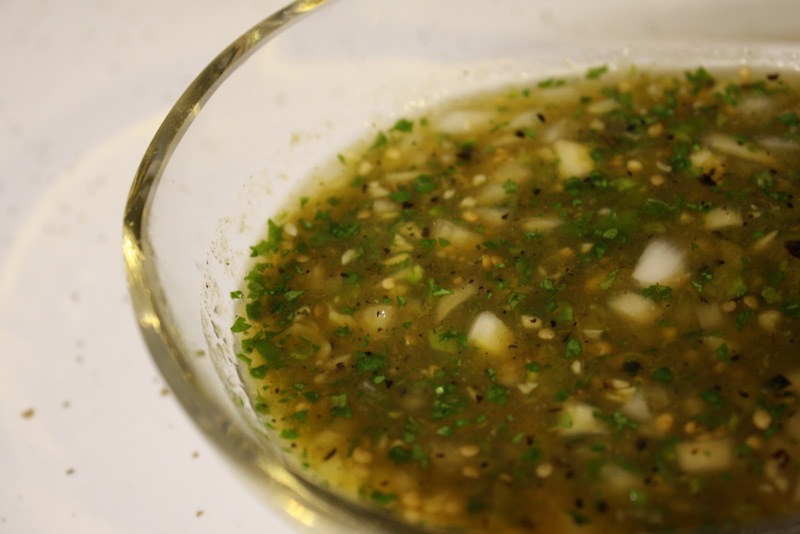 Garlic, pepper, cinnamon, and oregano make the marinade come alive. The tomatoes soften just slightly under the hot chicken and absorb the flavor of the broth. Chef Bayless suggests the option of serving this with pickled onions, and we couldn’t agree more. We also served this with fresh corn on the cob, and we strongly recommend keeping the corn on the same plate as the chicken, because it too will absorb the broth and negate the need for any butter or salt for the corn. This is a full plate of flavor, people. Get cooking. Enjoy! Place onion slices on a plate and top with lime juice and salt. Let stand 30 minutes. Cut a small slit in the side of each garlic clove, and place them all into a microwave-safe bowl. Cover with plastic wrap and microwave on high for 30 seconds. When cool enough to handle, slip off the papery husks. Put them into a running food processor one at a time, letting each one get fully chopped before adding the next. Stop the food processor, and add the remaining marinade ingredients, along with 1/2 teaspoon salt. Process until smooth. Scrape half the marinade into a medium bowl, and the other half into a small saucepan. To the saucepan, add the broth and 1/4 teaspoon salt. To the bowl, add the chicken pieces and toss to coat evenly with the marinade; set aside. Heat grill to medium. Cook for 5 minutes, until nice and brown. Flip them over and cook until completely tender (the juices will run clear when the meat is pierced with a fork), about 5 more minutes, maybe longer if the pieces are very large. Meanwhile, get the tomatoes ready. Slice them and set on four separate plates; season with salt. Bring broth mixture to a boil. Taste and season with salt if necessary. Top tomatoes with chicken pieces, then drizzle broth over chicken. Serve with the onions. Eat! 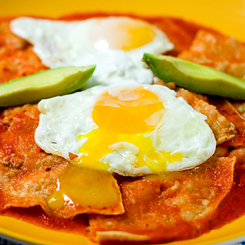 As promised in our last post, today’s recipe is the first one we ever made from our hero Rick Bayless. The amount of flavor in this soup just blew us away, and we knew immediately that we needed to learn more about this man and his food. This soup only has eight ingredients, yet the flavors make it seem like it’s a lot more complex – and this is what Bayless does so well, creating dishes that taste way more complicated than they actually are. Roasting tomatoes and chiles (or rajas) really brings out their intense flavor in a sweet and smoky way. This recipe calls for beef stock, but using chicken or vegetable instead will do just fine. If queso fresco is unavailable where you live, Monterey Jack should do the trick. Allow enough time to roast, cool, and peel the tomatoes and chiles. Enjoy! Preheat broiler. Broil tomatoes and poblanos in a shallow baking pan, turning as needed until blackened on all sides (the chiles may take a little longer). Let cool. When cool enough to handle, scrape skin off the poblanos, halve, remove seeds, and cut into ¼-inch strips. 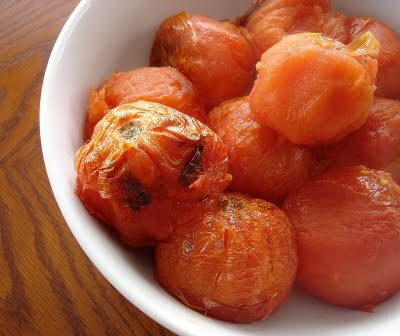 Peel tomatoes over a food processor (to catch the juices), then coarsely puree tomatoes and juice. Heat oil in heavy saucepan over med-high heat. Add onion and cook until browned on edges, about 5 minutes. Add garlic and oregano; cook for 1 minute, stirring. Add poblano strips and stir until heated through, about a minute. Add tomato puree and stir frequently until thickened and heated through, about 7 minutes. Stir in stock and bring to a boil. Boil uncovered, stirring often, until slightly thickened, about 3 minutes. Season with salt. Divide soup into bowls and scatter cheese over the top. Eat!